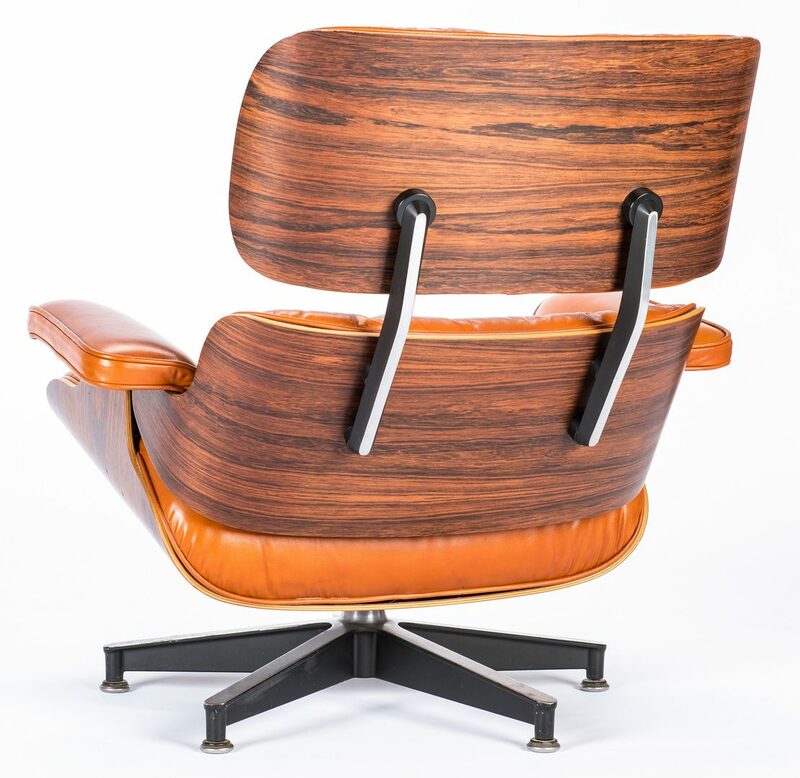 Eames No. 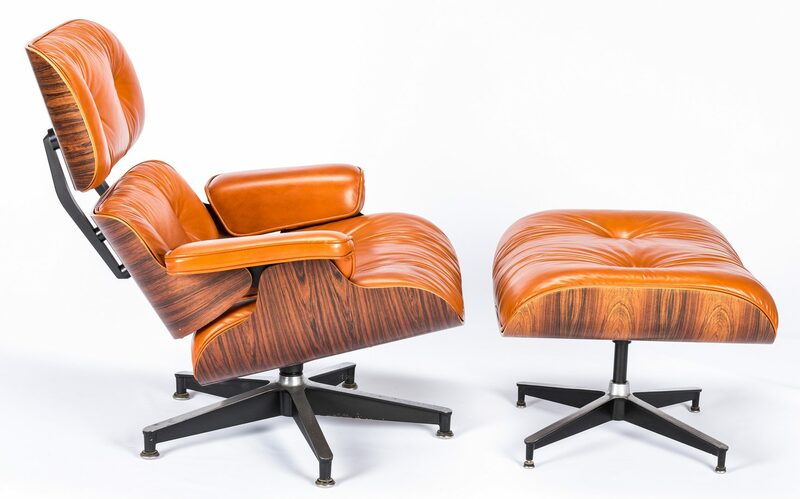 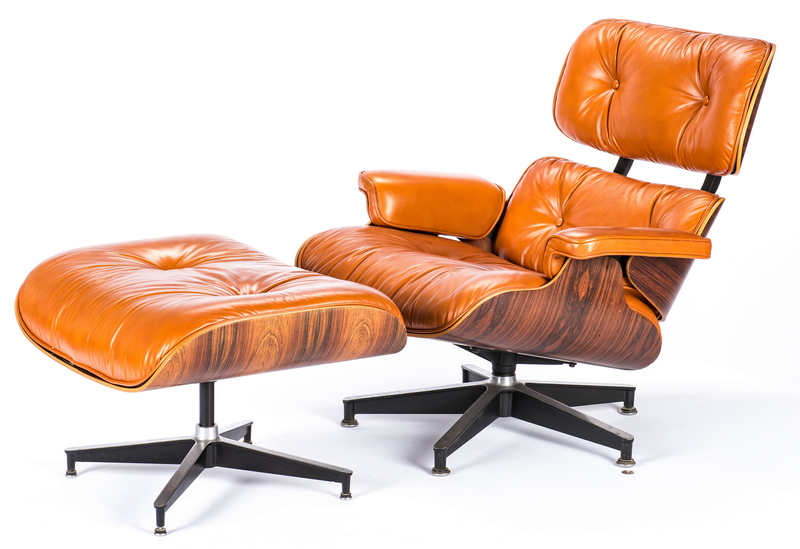 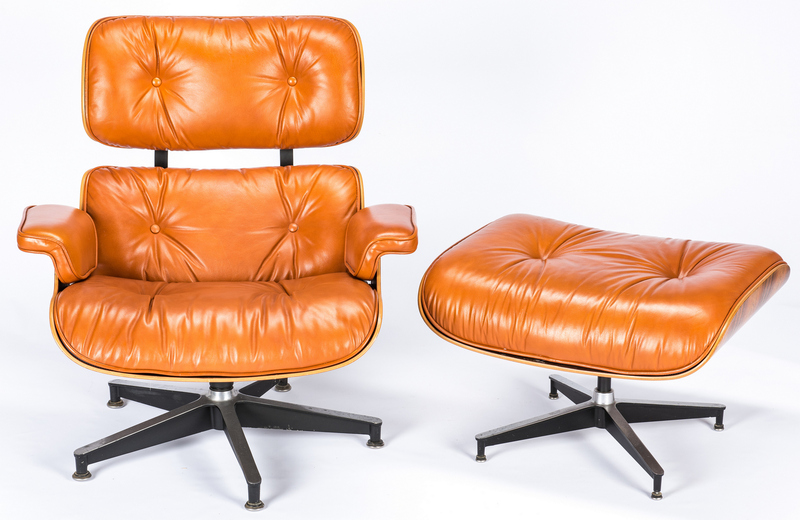 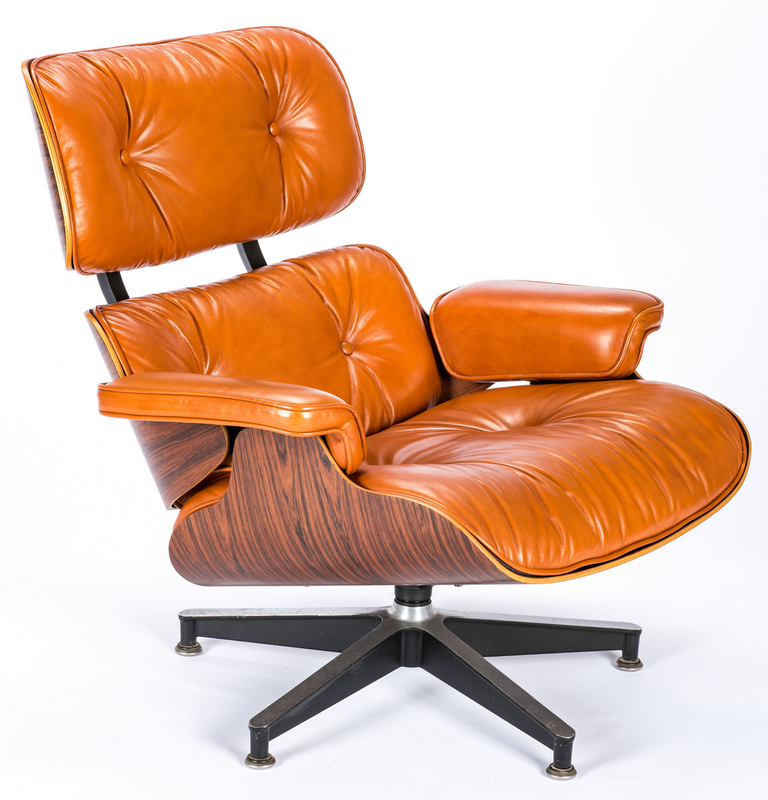 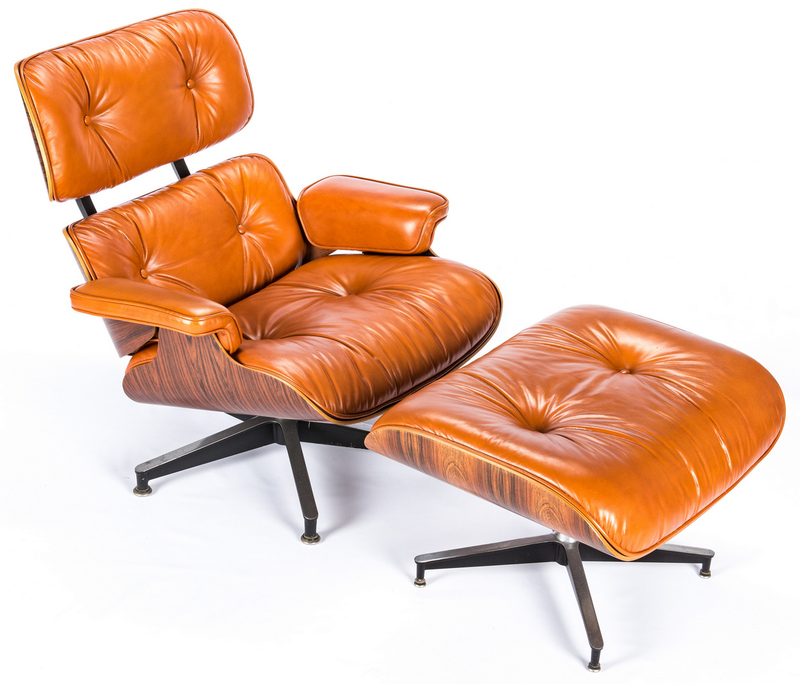 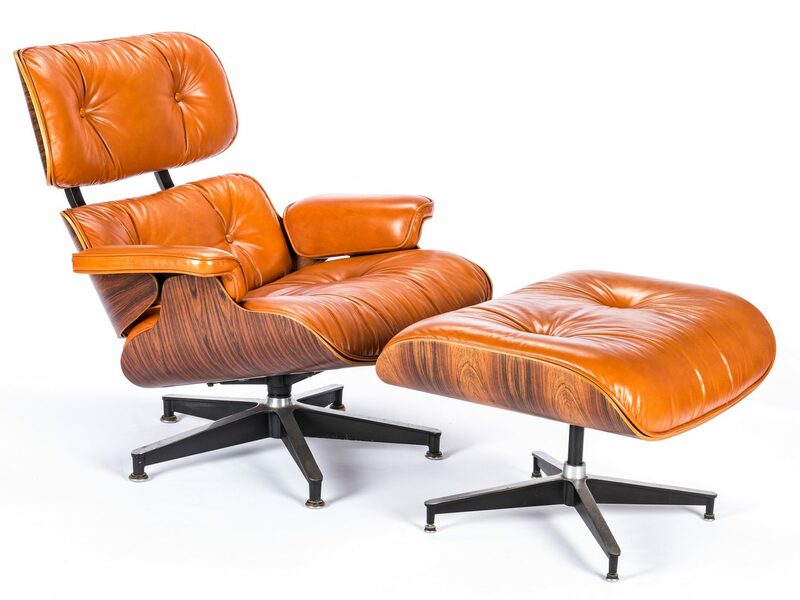 670 & 671 lounge chair and ottoman, made by Herman Miller and designed by Charles Eames (American, 1907-1978) and Ray Eames (American, 1912-1988). 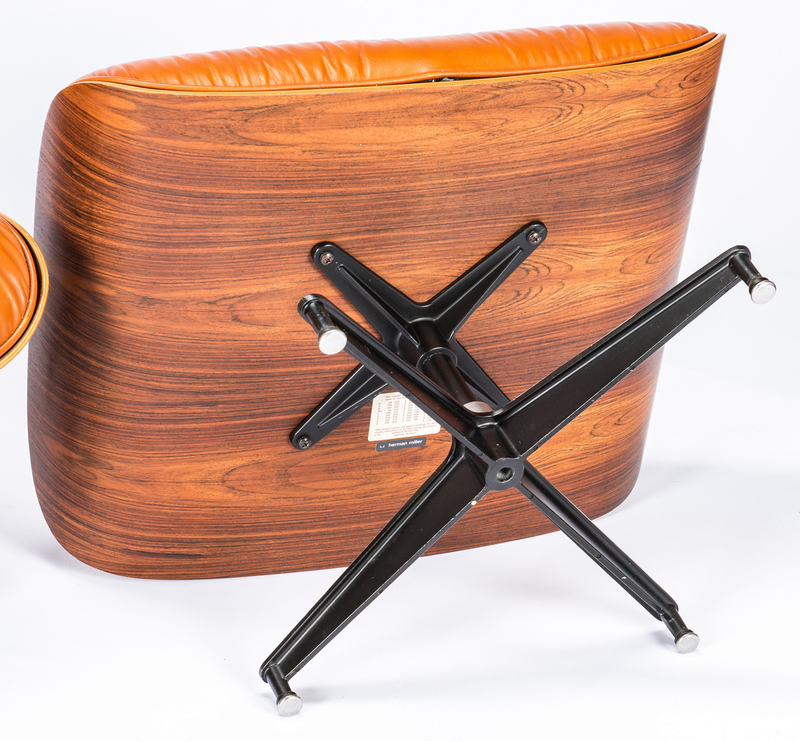 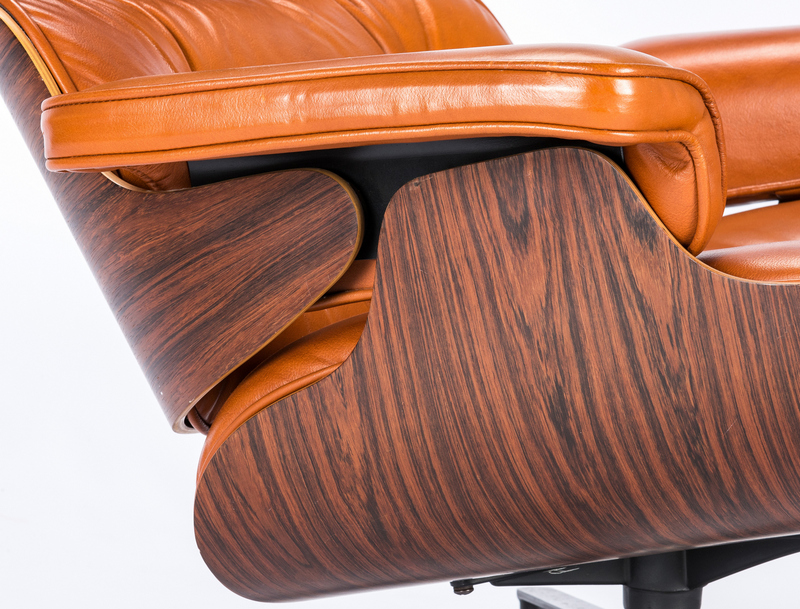 Comprised of Brazilian Rosewood veneer shells with deep orange leather cushions and cast aluminum bases. Rectangular black label Herman Miller label on chair and ottoman base. 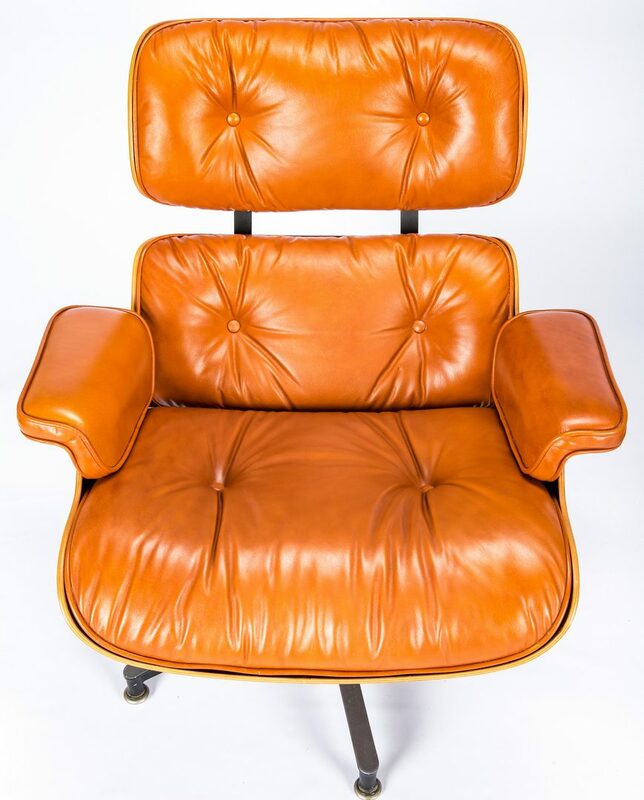 Chair – 32 1/8" H x 32 3/4" W x 28" D. Ottoman – 16 1/2" H x 26" W x 21" D. Designed 1956, manufactured 4th quarter of 20th century. 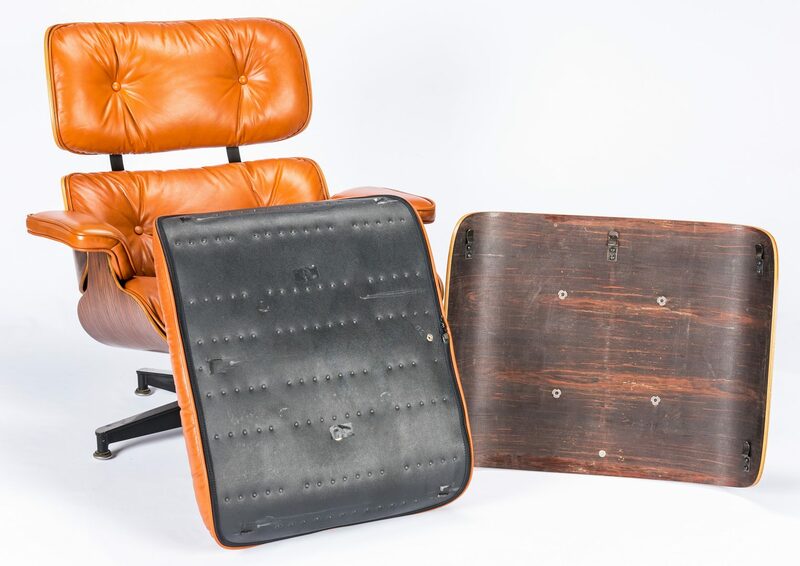 CONDITION: Chair and ottoman leather overall very good condition with very light wear. 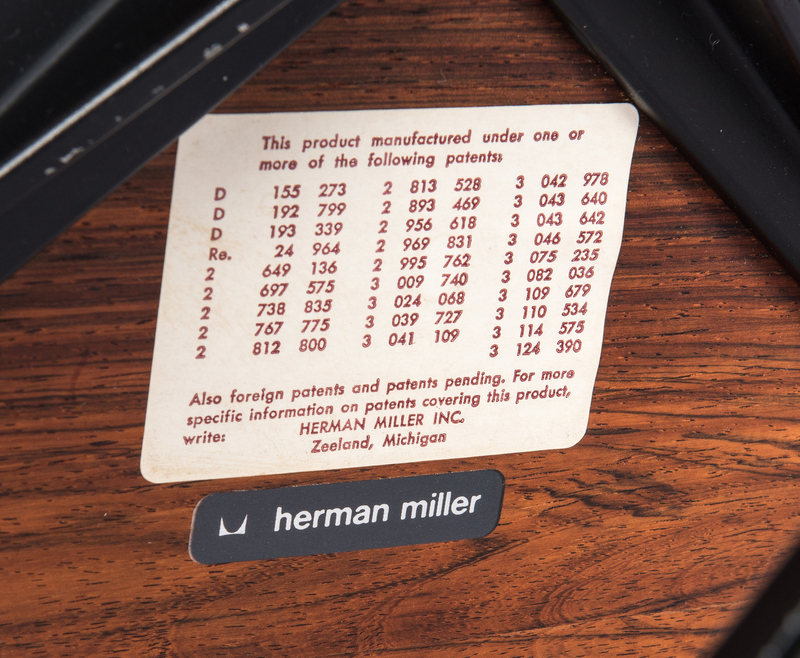 Light general wear to aluminum bases of both.